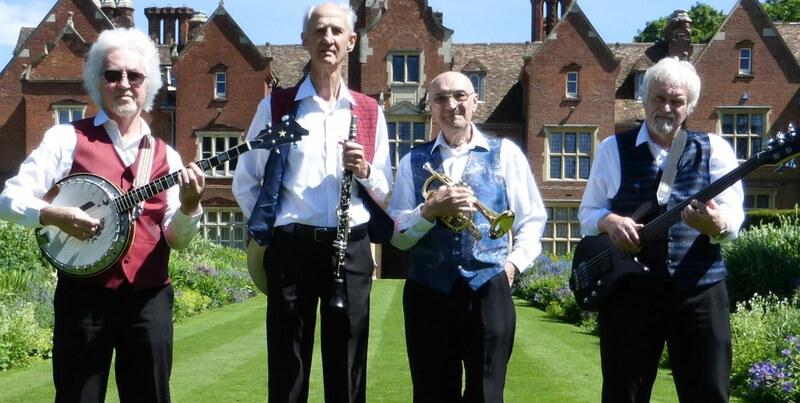 The Stamford Stompers | Peterborough Trad Jazz Band for Weddings and Parties. --Choose Performance Length--2 x 40 min sets of live music in a two-hour period. 2 x 1 hour sets of live music in a three-hour period. Early setup time required (at additional cost). 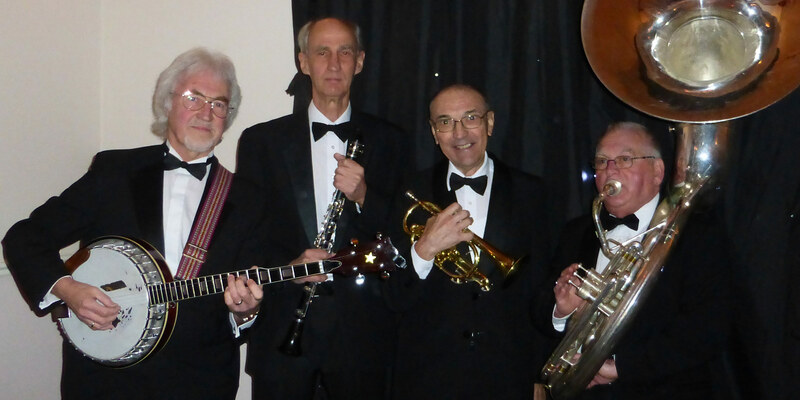 An acoustic four piece Trad Jazz band, The Stamford Stompers perform the the full happy-go-lucky Dixieland repertoire. 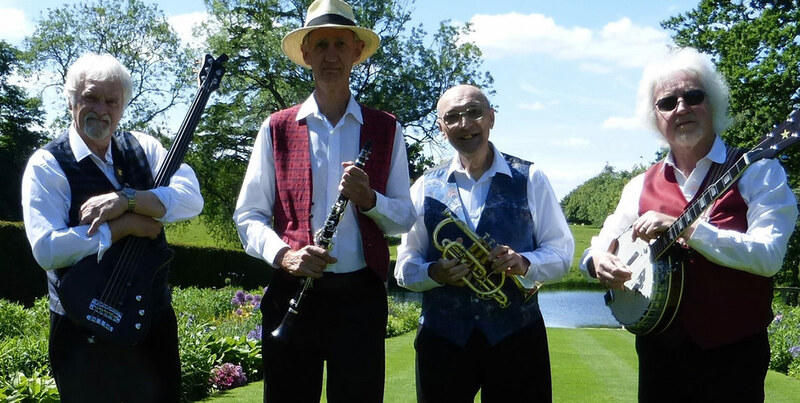 The band can play out of doors providing the perfect Carnival style backdrop for a garden party or wedding drinks reception. 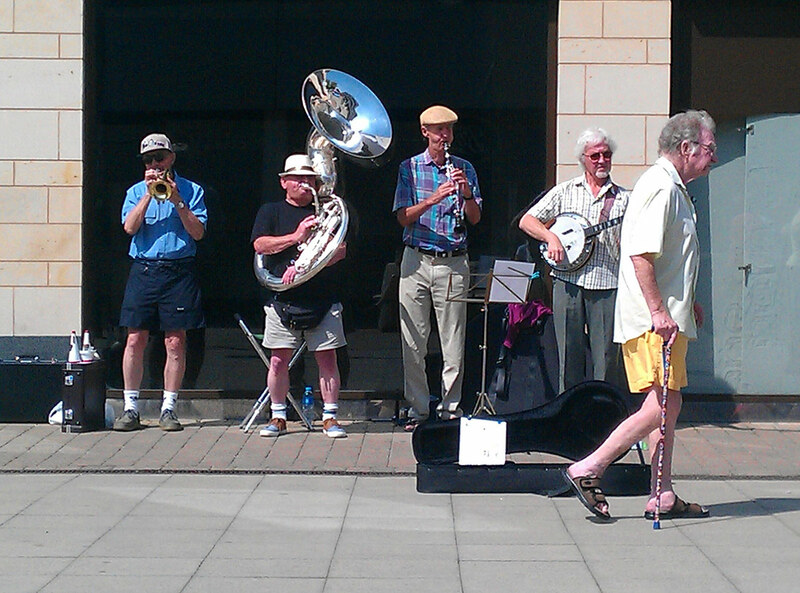 "Strolling Trad Jazz band performing toe-tapping Dixieland favourites." The band’s standard four-piece line-up comprises trumpet, sousaphone, banjo / guitar and clarinet / sax, bringing the joyful sounds of New Orleans and the Mississippi to your party. 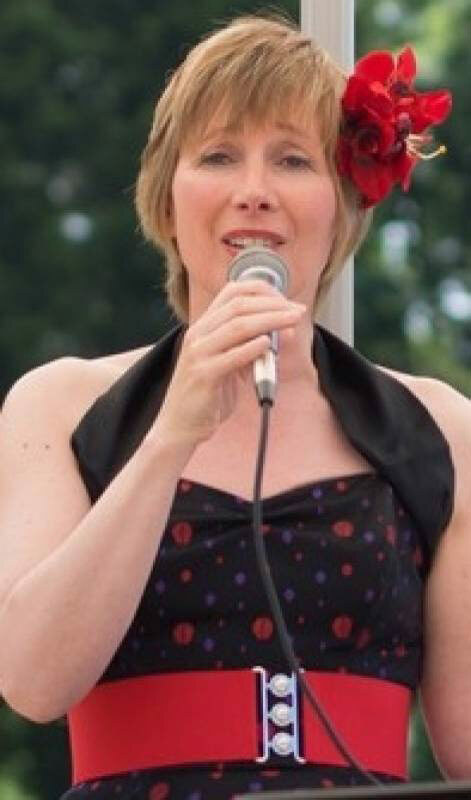 For larger indoor events the band can bring a small PA system and can also include a female singer to front the band and can augment with additional musicians to provide music for dancing. Please get in touch for a bespoke quote for a larger band. Satan, Your Kingdom Must Come Down! We just wanted to drop you a quick line to thank the Stamford Stompers for a lovely afternoon on Saturday. The music was great and really made for a wonderful atmosphere in the gardens at Longstowe. We really loved having you during the reception and you made the day absolutely perfect. All our guests have said how great you were and we have had nothing but positive comments. You played at our wedding on the 19th August 2017 at Kingsthorpe lodge barn in Polebrook and we loved listening to your music! Lots of our guests commented on how much they enjoyed listening to you play on arrival. Booking your group really was the icing on the cake for my party! Everyone commented how wonderful you were and the tone you set for us was just right. We have your business card and please use these comments to promote The Stamford Stompers. Excellent jazz band, very classy, perfect for the event in question. It’s nice to see a band which does things so simply and professionally, providing a full sound with the minimum of equipment. They were happy to play to the room when people were eating and talking, at a volume which still allowed conversation, but were friendly and engaging as and when people wanted to interact with them. 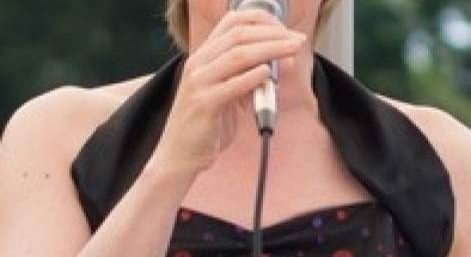 The singer they provide (if required) has a great voice, well matched to their style, no over-acting or dramatic self indulgence, just confident, strong and pitch perfect. Great day, thank you. Hi Derek. We have just returned from honeymoon. We would just like to say a huge thank you for everything you did. I had so many compliments from all of my guests and you played wonderfully. I look forward to hearing you again. Just a belated note to tell you how delighted we were by your playing at my party in Elton on the 6th September. We got glowing praise from our guests – and also from various neighbours who sat in their own gardens, with a drink, to enjoy your music! Thanks again. A huge thank you to the Stamford Stompers from Swayfield! Your music made it a very special occasion and being blessed with such fantastic weather, it all came together very nicely. Please pass our thanks to the rest of the band and great that you enjoyed it too. You were a blast – thank you kindly! Everyone loved you but most especially did my old Pa: that makes me very happy. Good evening Derek, Well, you cracked it!! I’ve heard nothing but good reports regarding your input to our evening; on behalf of everyone who was present, and in particular our members, I wish to thank you and the boys for making it such a special evening for us. I have no doubt that you will be contacted by people who were at the event, which is no more than you deserve. Thank you very much. I look forward to seeing you in the future. With an exhaustive repertoire of foot-stomping classics delivered in their distinctive swinging style, Opus One present their exhilarating programme of music for dancing. This is Big Band Swing at its very best!